I already talked about how I marked my one year running anniversary. 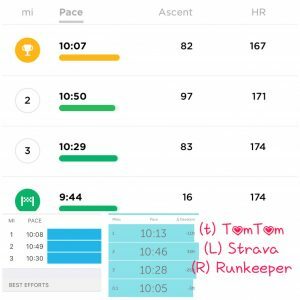 How did I mark the first half of the week after my running anniversary? Injured. I actually don’t think it was Saturday’s 7.77 miles so much as the 1.3 mile warmup on Friday in bad shoes. Luckily, it doesn’t appear to be a flare of plantar fasciitis, but rather a bruise/irritation of pad below my big toe. So rather than take a class as planned on Sunday morning, I visited my old friend the bike as the gym’s rowers are out of commission. Walking to and from gym bus stop was sore, but not insurmountable. I honestly didn’t even want to go out as it was so cold, but I needed some steps. 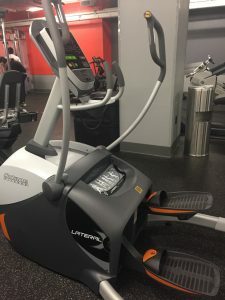 On Monday I went to my primary branch and while my foot felt better, I didn’t want to push it too soon so I checked out the contraption pictured above which they’d recently installed. It’s an Octane Fitness Lateral and it seemed more manageable than a standard elliptical. It was surprisingly fun, especially with legs going all around. Since it didn’t have the tread pounding of a treadmill, my foot felt good after 30m which was about enough for my hips. Wednesday, tested my foot with a mile on the treadmill followed by a mile on the lateral. It’s hard, but a good hard and way more fun than the standard elliptical. Maybe I’ll give their bike a go on the next non-Sunday cross train as the gym also has that. Thursday, late night with multiple after work events but I didn’t use them as an excuse to skip the gym. It meant a short visit, however, so it was only a mile. No pain. Yay. Friday I knew was going to be a test. After an insanely cold two weeks, it was finally unseasonably warm and Road Runners had scheduled one of their #ResolveToRun group runs. 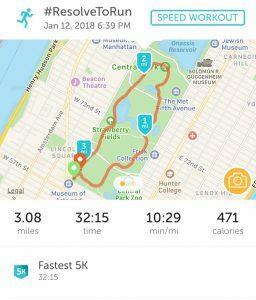 Despite struggling with NYRR’s group runs, I decided to give this one a go since it was only 5K and was geared toward new runners, it seemed. There were eleven of us including two coaches and as we head into the park I knew it wasn’t really new runners. Just figured I’d give it my best. 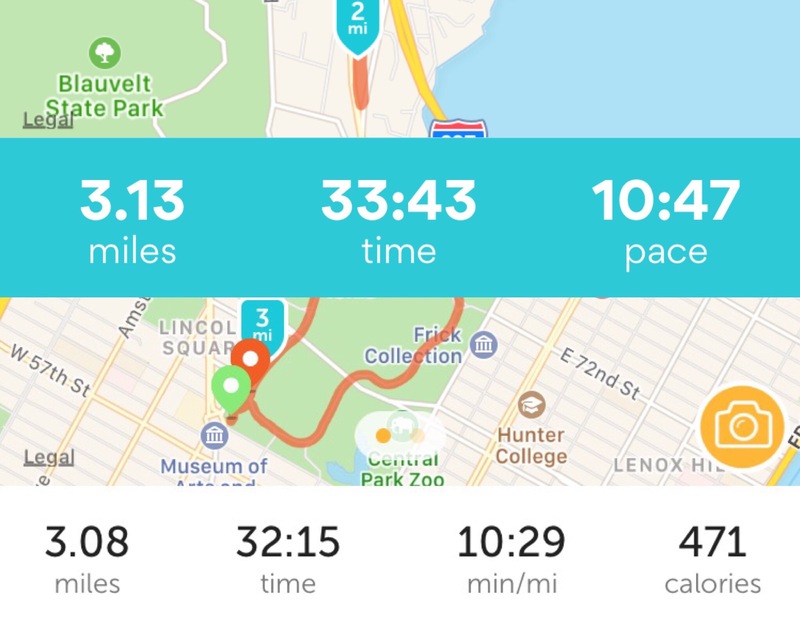 We had a pause at about the mile moment to allow the rear group to catch up and set a plan for the distance and when I looked at my watch I couldn’t believe it. It was 10:07! I knew there was no way I could maintain it and told them to go ahead, I knew the loop and would catch up or meet them back at the RunCenter. The second mile I managed to keep them in sight and for the third mile another runner said she’d run with me and three of us finished together. Just before we hit two miles it started to rain and it was AWESOME. It had been super foggy in the park and as we skirted Belvedere and the Delacorte it was super eerie. Loved it. It was a great run and ten of us finished smiling in the rain. The planned hot chocolate at the RunCenter gave way to water and gatorade and when I looked at my watch, I couldn’t believe it. 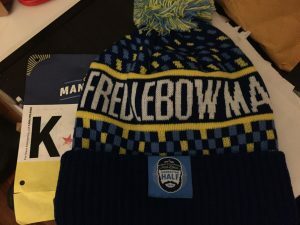 Even when accounting for the distance, not just a PR, a PR by ~20 seconds per mile vs. Christmas Eve! And CP course is way more hilly than the trail at home which is a pancake. 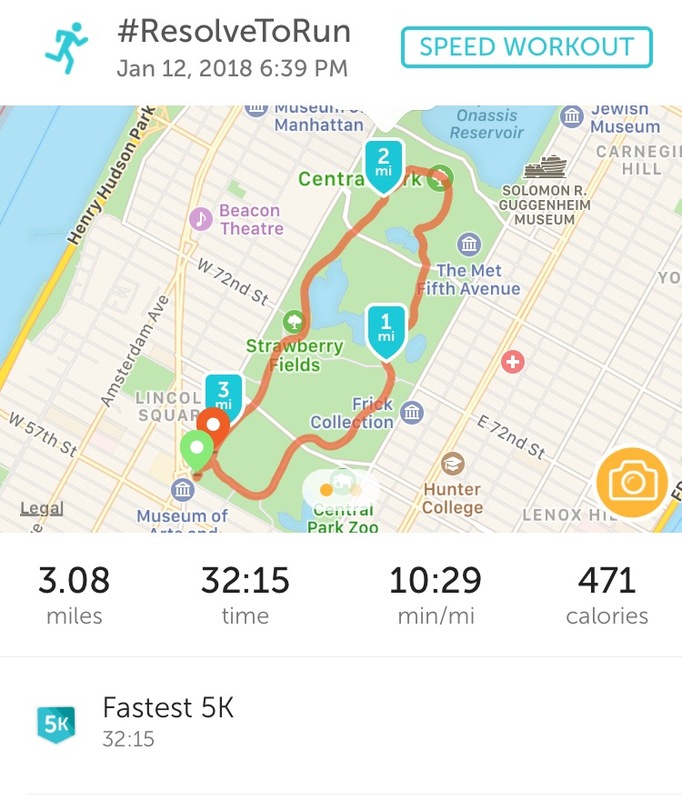 How on earth does the same run get measured at three different paces? 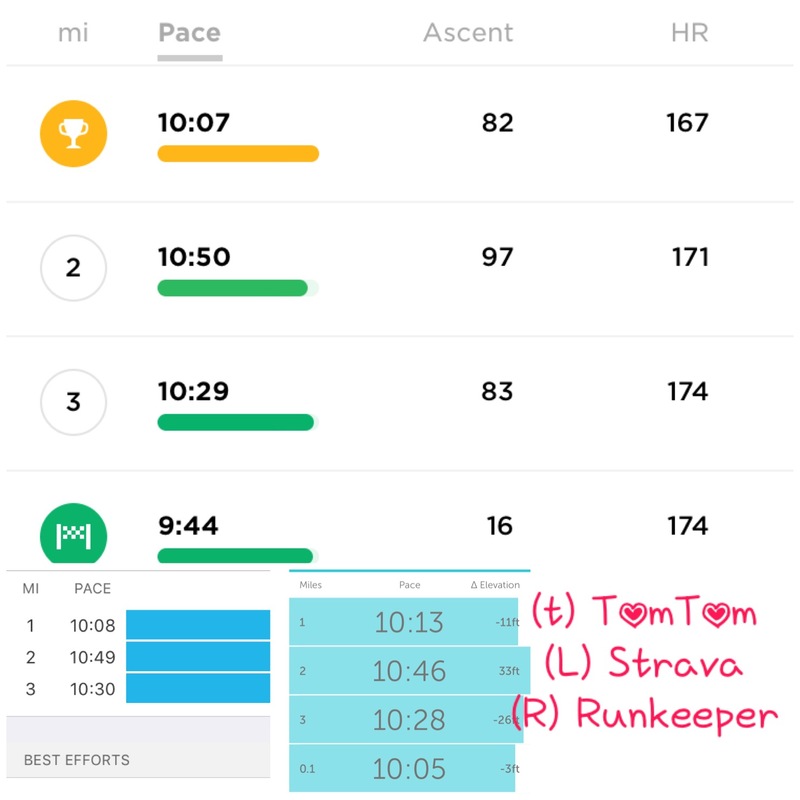 Tom Tom is faster on first and slower on second miles than Strava. 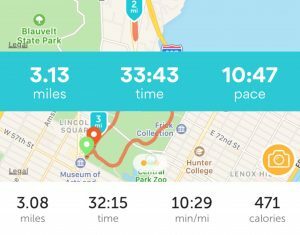 It’s six seconds faster than Runkeeper in mile one before moving to four seconds slower. None of this makes one iota of sense. Either they dropped the L corral for this race, or I actually leveled up. My guess is the former, but I’m going to enjoy this sign of progress. Today, 3.21 at the gym at 5.5 with random hill intervals mostly to test the foot. No pain. Run felt good. Definitely taking tomorrow easy though and not running. I’ve learned to not repeat this summer and determined not to be both undertrained and injured. Speaking of learned, you might notice I revised my 2018 goals and dropped the “need” come in with fewer days below goal than 2017. It’s not because I’m struggling, but rather because it was making me crazy already. The whole reason I love (and main point of) the annual aspect of #GoTheDist (which did come back for 2018, yay!) and monthly aspect of my spreadsheets is because they control for the day to day fluctuations that come with life. I do need to make some minimal movement-such as last Sunday when I went to the gym, but I don’t need to obsess about whether coming in shy of goal (~10K Tuesday because I got home after midnight) means the end of the world, goal wise. It’s a similar feeling to when I dropped the 30m goal, and it’s something that has been lingering in my brain as to whether my fitbit would ever “let” me have a true rest day. So lesson learned early from a goal. I think this falls under 2018 goal of train smarter. And since the day I made that decision? Four days above 15K, of course. Im so glad it sounds like your foot is ok! Thats so awesome that you ran a PR 20 seconds faster than a few weeks ago- congrats! Good news that the foot is OK. We have to be so careful, don’t we! I bought new shoes a little while ago, had the new season to me ones on for an hour round the house yesterday and realised the toe is too tight for me so back they go. And brill speed. I did a 10:20 mm as the last of a five-miler yesterday but I felt a bit peculiar afterwards, I have to say! Oops really thought I answered this. Maybe it didn’t save. I had a weird moment coming down the stairs at the gym today. Nothing hurt. No winging, no soreness. Nothing. Whoa. Trying to find the perfect new shoe again as my summer ones are about six weeks away from the end of their mileage.